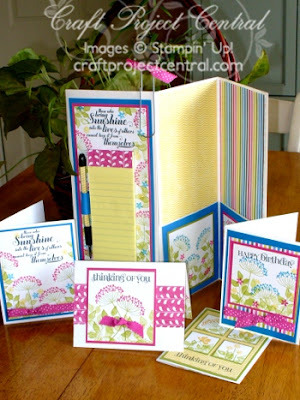 Create With Christy: Stampin' Up! Retiring Stamps & Accessories Lists are Here! Stampin' Up! Retiring Stamps & Accessories Lists are Here! I love this time of the Stampin' Up! year! We find out what stamp sets and accessories are retiring, and we anticipate the coming of the new catalog! As a demonstrator, I'll get my hands on the new catalog in about a week! I'm so excited! It's like Christmas! You can get a chance to get your hands on the new catalog, along with some sneak peek items from the new catalog, when you join my Stampin' Up! family. Don't forget, if you become a Stampin' Up! demonstrator by May 30th, you'll get more added to your starter kit at no extra charge! CLICK HERE to find out more! For the first time, at least in the 10 years I've been a demonstrator, the retiring stamp sets and retiring accessories lists are out at the same time! The retiring stamps sets are available until June 3, 2013. That's right, another first! You'll have a few days after the new catalog comes out to purchase retiring items! The retiring accessories are available while supplies last, or June 3, 2013...whichever comes first. As in past years, favorite accessories will sell out fast. some will even sell out today! there are also many of the accessories that are discounted! Click the links below to see what's reiting! PLACE YOUR ORDER ONLINE TODAY BEFORE IT'S TOO LATE! There's also a new project over at Craft Project Central. The designer of this great set is Chris Galbraith. Make sure to check out her blog, Creations by Chris. If you would like to learn how to make this project, you'll want to subscribe for the month of April. With your subscription, you'll get illustrated, step-by-step instructions for 10 wonderful projects for only $10! You can find out how to gain access to a bonus eleventh project over at Craft Project Central. Please leave a comment for Chris to let her know how great her project is, too! I love your blog and your projects you share. I would love to win a free project planner.